The Wild West is an untamed genre in video games, which is surprising, consider the vast and deep culture that movies have helped sustain since the 1950's. It's an American cliche that growing up children like to play Cowboys and Indians together, "playing the old west" is ingrained in our DNA, so why has it been so hard for the video game industry to put out a decent western game? After numerous failed attempts and several mediocre ones, we may finally have found the game so many of us have been desperately craving all these years in Red Dead Redemption. 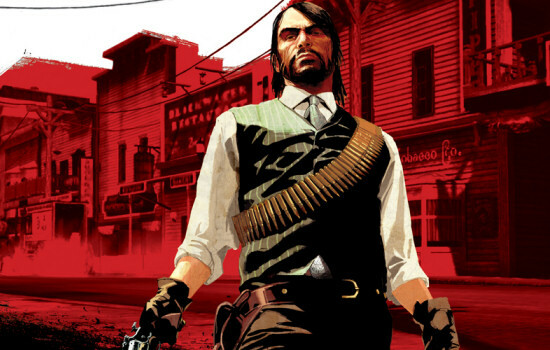 The story of Red Dead Redemption begins as your character, John Marsten, arrives in the area of New Austin in the early 1900s. The government has asked you, nay told you, to find and kill Bill Williamson, and old mate of John's from when they used to run in a gang. Soon you'll learn that you've bit off more than you can chew as Bill is holed up in an old fort. Shot and left for dead, John is saved by the McFarlane family and so begins John's journey of returning the favor of having his life saved. Read Dead Redemption is quite a bit different than other open world games that you've played, if for only because of the actions and area of people are so different. You won't be running down crowded streets, looking for familiar landmarks, and listening to the radio in cars you've stolen. There's no prostitutes to have your way with, though you'll find yourself being heckled by loose women, you see John is a married man - and a man with morals - so there's no whoring around in this game. 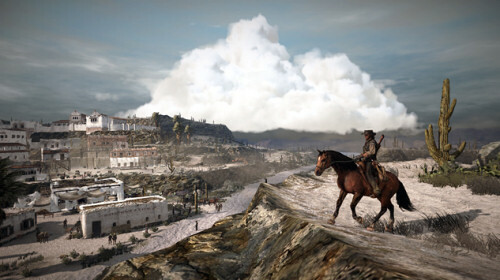 Instead the world of Red Dead is vast and open, with areas that can go on for miles with rarely a soul in sight. It sounds boring, but in reality, it's beautiful. The graphics in the game are simply jaw dropping, and if you see something on the screen, chances are you can ride to it. Combine with a truly fitting soundtrack and the western sunrise just may bring a tear to your eye. What's fans of the GTA series will find the same is the completely open mission structure. The game does very little to hold your hand on your path to redemption, and it's up to you to utilize your map and journal to decide where to go next and who to talk to. Like other open world games there's a lot to distract you along the way - whether it's a side mission to return a horse to it's owner (and lover) - or hunting and skinning wildlife for money and challenges. Completing these various tasks and challenges along the way will unlock different things to improve your standing in the game world as well as outfits which give you bonuses like the ability to cheat at Poker. Speaking of poker, it's one of many numerous mini games you can distract yourself with, also included are - horse shoes, liars dice, black jack, and a few others. All of these things make up a very compelling Western world, but the real stars of the show are the characters themselves. The voice acting and writing is superb and you'll find yourself drawn to many of the over the top personalities found in the game. I was surprised at the bond I found I formed with these folks, and in one missions I had to rescue a friend from being hung - I was completely hell bent on saving their life as quickly as possible - as I cleared the area of bandits I would yell quotes from Tombstone - "I'm your huckleberry!" I'd say as my wife threw me a sideways glance. "You're no daisy!" I retorted as their bodies tumbled off horses from my 6 shooter. 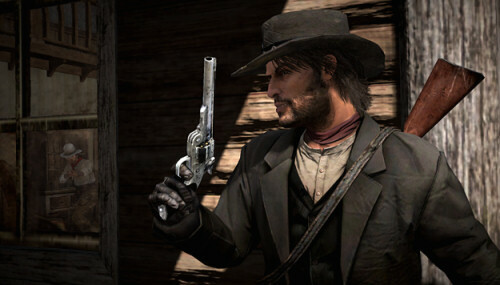 Red Dead Redemption Patch - An End to Grief?